This system was visited for the first time on EDSM by Storm Eyes on Jun 14, 2016, 11:12:25 PM. 2013 ships passed through Bleethuae NI-B d674 space, including 113 ships in the last 7 days. 11 ships passed through Bleethuae NI-B d674 space in the last 24 hours. Situated just 1,000 LYs from the off-limits Bleia Nebula, Morphenniel is the closest visitable nebula to this mysterious sector or space. This nebula has a bright orange-white tip that falls away to darker orange and red colours, which from some angles resembles the tail-fire of a rocket, hence the name. 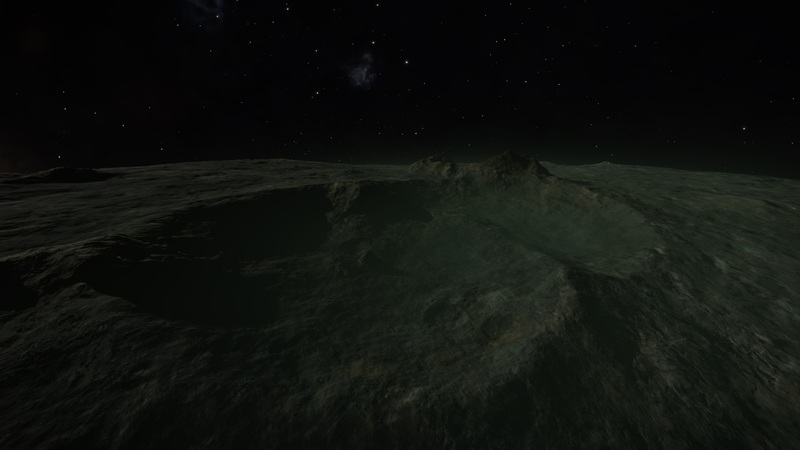 It is fairly small, being about 40 x 30 x 30 LY but occupies an interesting location. It is located 670 LYs below the Galactic Plane and 2000 LYs from the Magnus Nebula visited by the Distant Worlds Expedition (Waypoint 17). It has few hot stars, most being cooler K and M types - the system closest to the centre is a Y dwarf circled by icy worlds devoid of any atmosphere but illuminated by the deep red colours of the nebula itself. 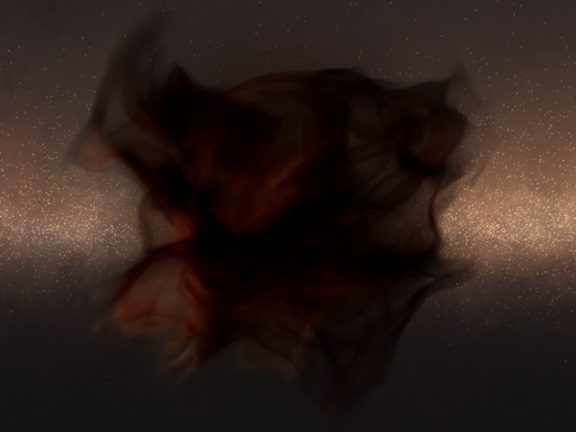 The nebula reference star system has a small biologically and geologically active Trojan Moon (Planet/Moon : 2 D A) with striking surface features, one being a double impact crater shrouded in a thin haze and surrounded by large mountain ranges. The crater is located at: -27.10/-142.00 (150 KMs along bearing 270 from BioSite #1).